Nearly one-fifth of South African children are not eating breakfast before going to school1. To help address this need, Kellogg is launching a large-scale Breakfast for Better Days™ Initiative, which will provide five million servings of breakfast to children throughout 2014, with 25 000 school children receiving breakfast every school day. With one in eight people around the world facing food insecurity each day2, Kellogg Company and its foundation, the Kellogg’s Corporate Citizenship fund, have pledged to provide a billion servings of breakfast and snacks to children and families who need it most, through this global initiative. In South Africa, a breakfast of Kellogg’s cereal and milk will be provided to children in Gauteng, KwaZulu-Natal, Western Cape and Eastern Cape provinces. Partnering with Kellogg are FoodBank South Africa, the country’s largest food banking network and Kellogg’s international partner in the global initiative, who will distribute the food; and Parmalat, who will be donating the required milk. Bio-Oil is a specialist skincare product that helps improve the appearance of scars, stretch marks and uneven skin tone. 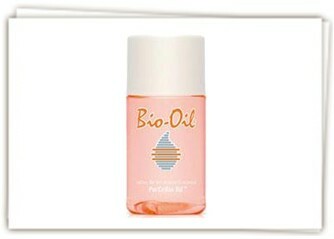 One of the world’s fastest growing skincare brands, Bio-Oil is sold in 50 countries across five continents including the UK, the USA and Japan. Bio-Oil has become the No.1 selling scar and stretch mark product in 17 countries, including South Africa, since its global launch in 2002. Its enhanced formulation, which contains the breakthrough ingredient PurCellin Oil™, also makes it highly effective for numerous other skin concerns, including ageing, dehydrated and sun burnt skin. Kim Kardashian, Sienna Miller, Victoria Beckham, Natalie Portman, Tshedi Mholo and Cindy Nel. Cindy and Tshedi both used Bio-Oil during their pregnancies to help prevent stretch marks. b-well Medical is a specialist developer, manufacturer and distributor of break-through medical and complimentary health products. Dedicated to ensuring the optimal health and wellbeing of discerning customers around the world. Since prevention is always better than cure, b-well Medical believes in forward-thinking healthcare that embraces a balanced lifestyle and holistic approach to wellness. Every b-well Medical product is based on medical expertise and is born from a real passion for people. It’s about using science to help get the very best out of life. The head office is based in Constantia, Cape Town. The newest product for b-well Medical is Babaderm. Meet the new Babaderm™ baby care range, a fresher and softer approach to keeping baby clean and comfortable. Developed by medical professionals at B-Well Medical, Babaderm™ combines the very latest in science and nature with our own special ingredient, Probiton™, keeping baby’s skin balanced and germ-free. Think of it as friendly bugs for a healthier, happier baby! Hill’s is a global leader in pet nutrition and innovation. As the makers of Science Diet™ and Prescription Diet™ the Hill’s mission is to help enrich and extend the special relationships between people and their pets. They do this by providing the best, leading-edge pet nutrition technology, products, and expertise to pet owners, veterinary professionals, and other key pet professionals worldwide. IVOhealth, holding company of IVOdent, delivers quality oral care and healthcare products throughout Southern Africa. The head office is in Cape Town, South Africa, with a team of dedicated staff throughout the country. IVOhealth’s mission is to source and supply quality brands and products that improve health and well-being. Originally started as IVOdent in 1998 by entrepreneur and dental technician Gary Hockly, the company initially supplied highly specialized oral care products to dentists and dental laboratories. Recognising a lack of oral care products available to consumers led Gary to supply pharmacies and retailers with leading brands such as GUM and alcohol-free mouthwash Dentyl pH. Always on the look out for exciting and innovative products Gary has since expanded the company and we now supply a range of leading brands such as Aloclair, Letibalm, Philips Sonicare and a homeopathic range that includes Trip Ease, Drink Ease and No Jet Lag. IVOhealth’s head office is in Observatory, Cape Town and the company supplies dentists, dental laboratories, pharmacies and retailers throughout Southern Africa. Dedicated staff of 23 includes a marketing and management team, a pharmacist, an oral hygienist, dental technicians, dental assistants and qualified nursing sisters. IVOhealth brands include Philips Sonicare, GUM Dentyl pH, Panasonic DentaCare, Salli Saddle Chairs, Protefix denture range and Letibalm. Through the IVOdent division they supply dentists and dental laboratories with the following specialist ranges: Ivoclar Vivadent Technical, AmannGirrbach Dental Equipment, Yeti Dental Consumables. GUM is an international brand of innovative oral care products that have been designed to help prevent gum disease and achieve excellent oral health. GUM provides high-quality products worldwide to consumers and dental professionals. Step 1: Brush: GUM has a wide range of toothbrushes for optimum cleaning, find the one that suits your needs best. But remember brushing alone is not enough because it only removes 50% of plaque. Step 2: Interdental – cleaning with floss and interdental cleaners helps keep gums healthy by removing food particles and plaque from between the teeth and below the gumline. Combined with brushing, flossing will remove up to 70% of plaque. GUM has a range of interdental tools to make flossing easy and convenient. Step 3: Custom Care – GUM has a range of specialist oral care products to suit your personal needs, from tongue cleaners to disclosing tablets. Dentyl pH, in the IVOhealth stable of products, is an alcohol-free two phase mouthwash clinically proven to combat bad breath. Simply shake to activate, then swish and gargle. Dentyl pH attracts, lifts and absorbs the bacteria and debris that cause bad breath. When you rinse you’ll see what has been removed in the sink – visible proof that Dentyl pH really works. Dentyl pH’s advanced antibacterial action remains effective for up to 18 hours, giving you fresh breath confidence all day long. Because it is alcohol-free, it does not dry out the mouth. It has the same pH as saliva and is gentle to use – it does not burn or sting. Dentyl pH contains fluoride and helps strengthen and protect teeth and gums. Dentyl pH is now also available in a handy 100ml travel size – ideal for the holidays when air travel can dry out the mouth, making it an ideal environment for the bacteria that causes bad breath. For more information log onto www.freshbreath.co.za or contact distributor IVOdent on 0860 456 123 or email info@ivodent.co.za. 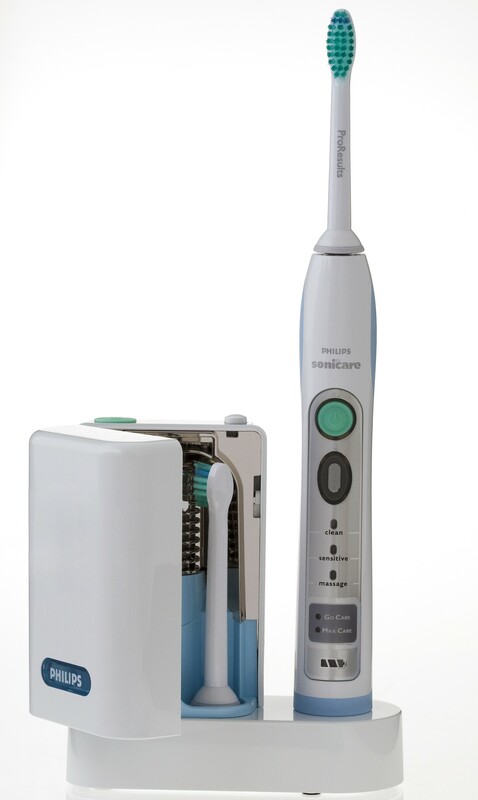 The Philips Sonicare range is the number one power toothbrush recommended by dental professionals around the world, and is clinically proven to clean teeth and gums more effectively than any other premium power brush. Philips Sonicare operates at sonic speed (up to 30,000 brush strokes per minute, compared to a normal electric toothbrush’s maximum of 7,500) resulting in cleaner, brighter teeth and healthier gums. Because Sonicare so successfully removes extrinsic stains (for example from tea, coffee, red wine and smoking) it can help naturally whiten teeth by up to two shades lighter in just two weeks.